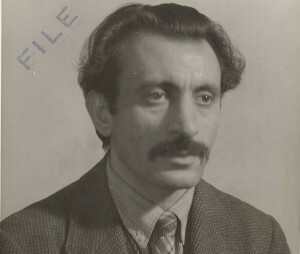 Born Vosdanik Adoian in Armenia, Gorky took his pseudonym from the Russian word for “bitter,” which was also the pseudonym of a writer he much admired, Maxim Gorky. The name reflected the horrors of his childhood during the Turkish genocide of Armenia —a fate he narrowly escaped by immigrating to the United States. Here he developed a dashing, dramatic style that built on the surrealist tradition and laid the foundation for abstract expressionism. Gorky thus emerged as one of the great pivotal figures in American art.